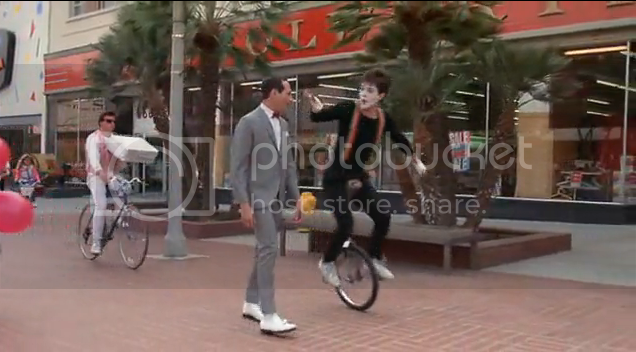 Post pictures of unicycles in movies! There is a shot of some one trying to ride a unicycle off something in one of the Jackass Movies. While watching Rango, I noticed that during the "Theatrics" scene, there is a unicyclist shown. 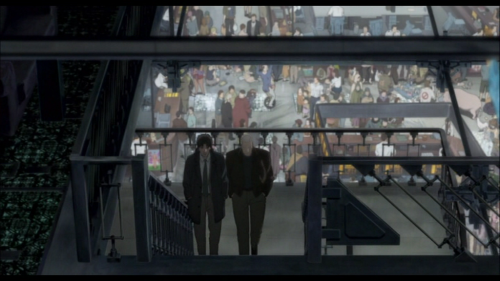 They ride unicycles in the Batman with the penguin. The most incomprehensible thing about the world is that it is all comprehensible. Right after Peewee's bike was stolen. There's a small scene in Harry Potter and the Half-Blood Prince where Umbridge is riding a uni on a tightrope, saying "I will... have... ORDER." I'm pretty sure it was in Fred & George's Joke Shop. Weasley's Wizard Wheezes, I believe. There is one in the movie real steel in the middle of the movie. Oh yeah, remember seeing that! There's like two guys sorta flailing around the gym before the game. "Light a man a fire, and he will be warm for a day. Light a man on fire, and he will be warm for the rest of his life." "'Your' and 'You're' are sworn enemies. If you misplace them, it could lead to violence."